WOW...location location. New construction starter home, retirement home or investment property for rentals. You will love this 3/2/1 home with upgraded wood cabinets, luxury vinyl plank flooring, with carpet in bedrooms. Nice Stainless steel smooth top range, dishwasher & microwave will be included. Inside laundry & storage. 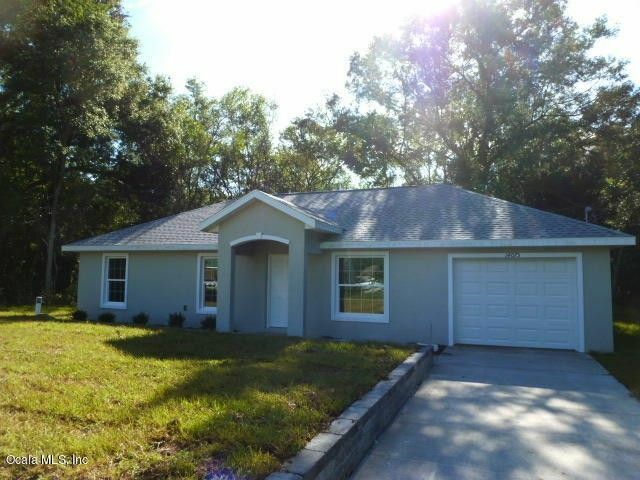 This home is located close to The Villages, Belleview and easy commute to Ocala. Only a few miles from I-75 (exit 341). Home includes Ceiling fans & automated garage door. Popular Grey colors on the walls. Completion in March. Directions: Hwy 484 to 36th Ave (467). Go South to 140th Place, TR follow to 34th CT, TL and house is on the left.